And this includes the new entrant in their family, Priyanka Chopra. The Jonas Brothers released their second comeback single on 5 April. The 3-minute clip sees Kevin, Joe and Nick Jonas hit the sand in Miami Beach, Florida, where they playfully tap into the Miami Vice which can be a flawless summer anthem. Priyanka will be next seen in Shonali Bose's The Sky Is Pink which also stars Farhan Akhtar and Zaira Wasim. While the Jonas family rejoices, it is being said that the new member of the family - Priyanka - played a big hand in bringing the brothers together. Last night saw the midnight premiere of the band's latest single "Cool". "Sittin" that way like its Game of Thrones" in the song "Cool'. She tagged both Sophie and Danielle, Joe Jonas' fiance and Kevin Jonas' wife, respectively. 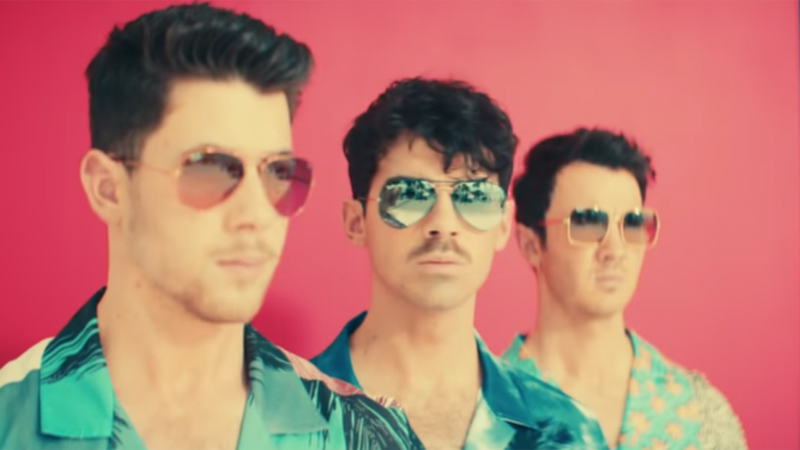 The Jonas Brothers dropped their music video for their new song "Cool" on Friday, and it's the ultimate '80s beach party.